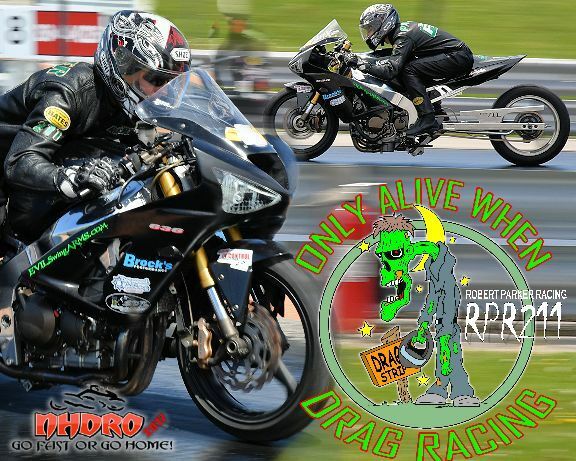 Team RPR 211 put forth a strong season opening effort in multiple sportsman classes. We received amazing support from Marcus who’s technical expertise kept us competitive by having us apply quick changes to his M2 Shocks setup for all the RPR211motorcycles. Each change continued to provide great results giving us more and more traction on the cold drag strip surface. 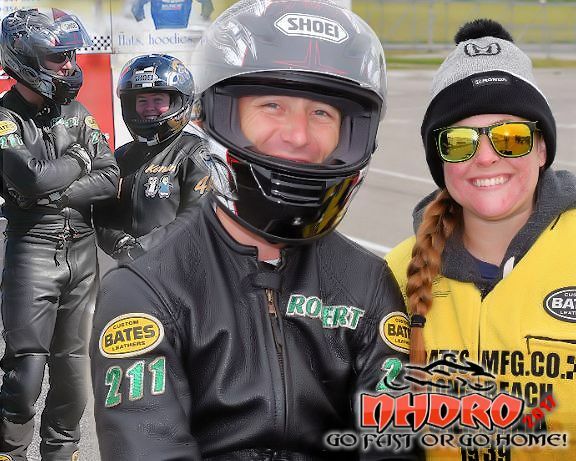 Saturday proved difficult with the cold surface but we stayed competitive because of the incredible teamwork and support given by our sponsors. Come Sunday RPR211’s Kenan Dorsey was on a mission and just kept getting faster and faster. After locking in nothing but green lights all weekend she went into to 4th round of Street ET. 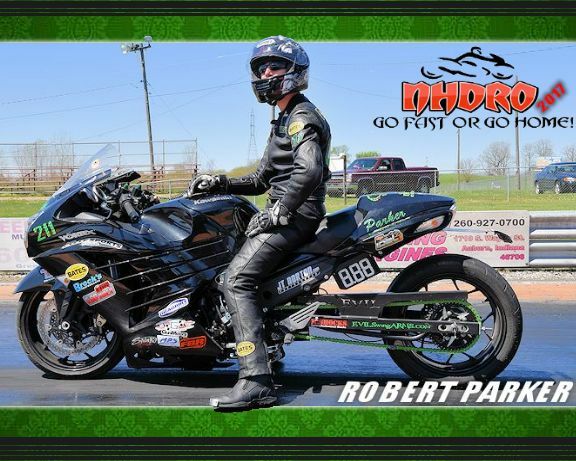 Robert Parker battled his way into the semi finals of Pro ET. and quarter finals of street fighter aboard his 636. 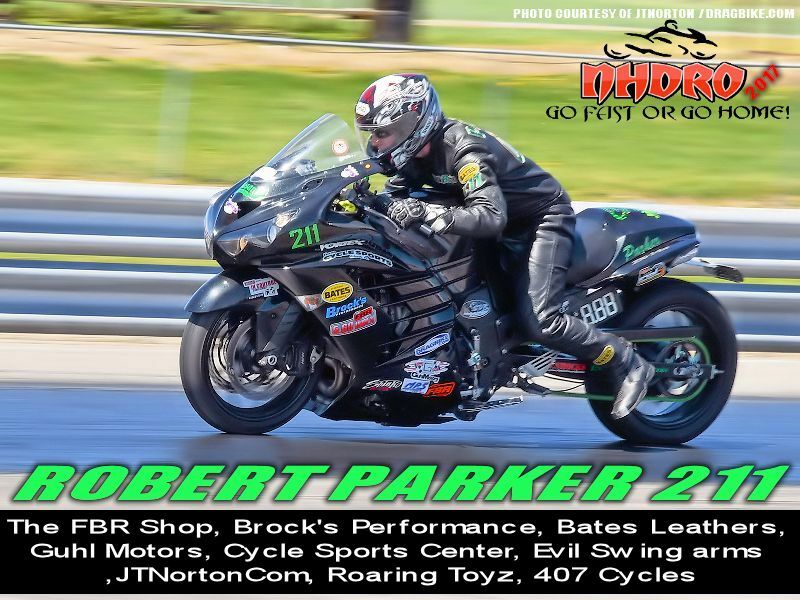 While piloting the ZX14R into the Crazy 8’s, Robert Parker was eliminated by Ben Knight and when we spoke with Robert, and he says the fault is all his because he backed away from the plan to do a wheelie and distract Ben, which would have surly handed him the win. From everyone at RPR 211, we would love to bring to light that with so much support and quality products from our sponsors we would not be successful without their backing. Sponsors such as Brocks Performance, FBR Shop, M2 Shocks, Evilswingarms.com, JTNorton.com, Guhl Motors, MPS Racing, Cycle Sports Center, Bates Leathers, 407 Cycles, Eatmyink.com and Dragbike.com are fantastic companies and people to work with. They all show the same love for the sport and are willing to go out of their way to help any one. So go check them out or contact us for details because they will not let you down and can get you what you need or want. We would like to give a special shout out to Kim Morrell / John Sachs and thank them for their support. 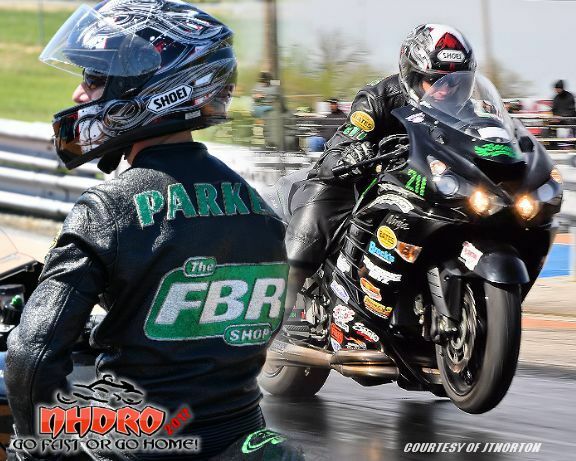 Our Team-JT teammate is going up against a strong pro extreme motorcycle drag racing field in Darlington May 18-20 PDRA —- GO KIM!!! !.